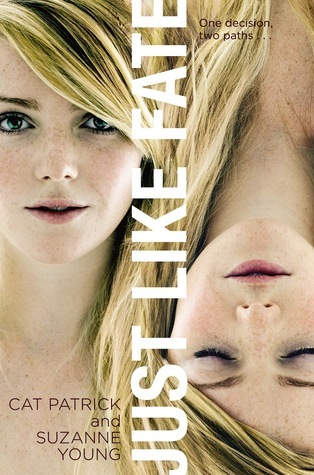 My WoW choice this week is the amazing book from two incredible authors; Cat Patrick & Suzanne Young, and it's called "Just Like Fate". Friendships are tested and family drama hits an all-new high as Caroline attempts to rebuild old relationships, and even make a few new ones. If she stays, her long-time crush, Joel, might finally notice her, but if she goes, Chris, the charming college boy, might prove to be everything she's ever wanted. Sounds like a page-turner to me! Don't forget to comment with your WoW links and I'll check them out! I always follow back, also! Ohh this looks so good :) Thanks for sharing this pick! This one sounds really awesome. kind of like Kasie West's Pivot Point I think! It reminded me of that book too, and also like something similar to Lauren Oliver's "Before I Fall" with the elements of fate and decisions. I'm excited for this one, too. I love alternative realities and this one sounds awesome. Great pick! Awesome choice! I've been seeing this one around a lot and I loved Cat Patrick's Revive.